One of Jon E. Gee's Music Fest Bands... Alex Roth's Band. 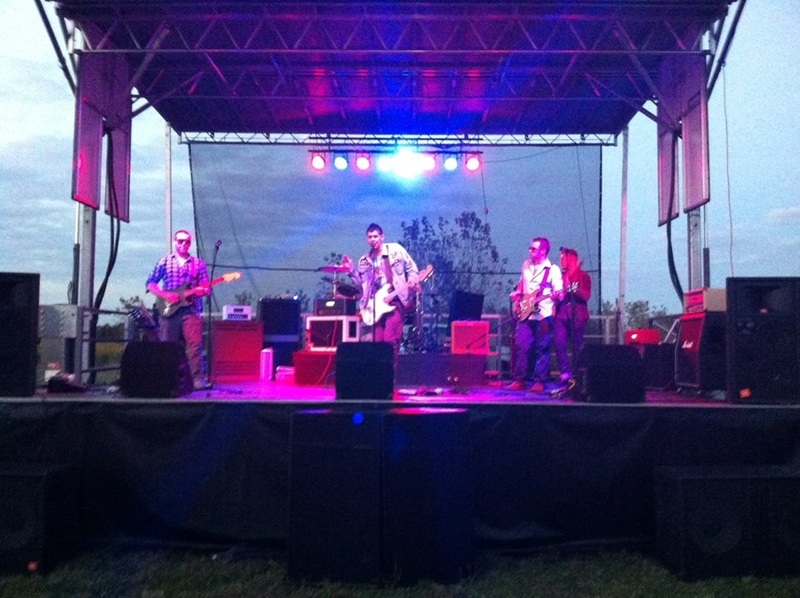 These guys ROCKED The Fest! Want Jon E. Gee to coach & consult your music act and take your band to the next level? Call us TODAY at 317-581-1030 or CLICK HERE to Schedule your first session! From the stage at the annual Music Fest presented by Jon E Gee. Come join us - Call Us TODAY! The following article about our Music Without Barriers benefit concert written by Brandon Hoelle appeared in The Community Recorder May 21, 2013. ERLANGER — Legendary bassist and philanthropist Jon E. Gee rocked the house with his band during a benefit concert at Lloyd Memorial High School Friday, May 17. Jeff Nicely, president of the Lloyd Memorial High School Alumni Association, had been collaborating with Gee and his wife, Sondra, on the project since December. Nicely said it was Sondra who initially approached the alumni association with the idea for a benefit concert at the school. 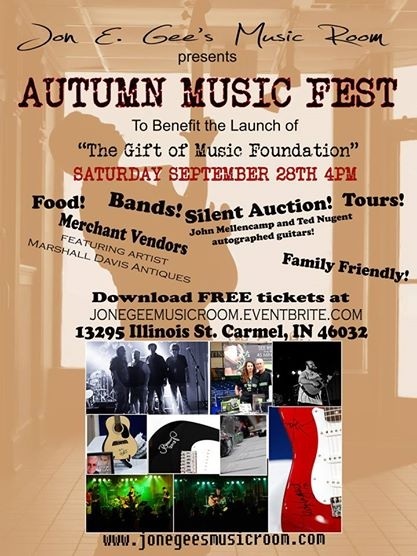 Nicely said the proceeds would be split between the alumni association and the Jon E. Gee Music Room, a community-driven organization based in Indiana that promotes music learning with regular lessons taught by Gee. Jon E. Gee has been trying to spread the joy and importance of music to kids and adults his whole life, he said. Gee said his music is influential because he has led a drug- and alcohol-free career and encourages students everywhere to do the same. 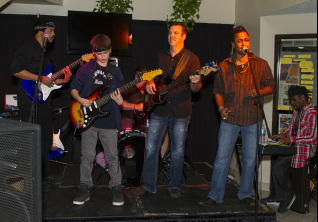 The Friday benefit concert also included appearances by two of Gee’s protégés, Aaron Creek and Tony Pebworth, as well as a performance by the school’s own student band, North of Nowhere. Superintendent of Erlanger/Elsmere Schools, Dr. Kathy Burkhardt, said she was proud of the student band and was happy they could perform for Gee. 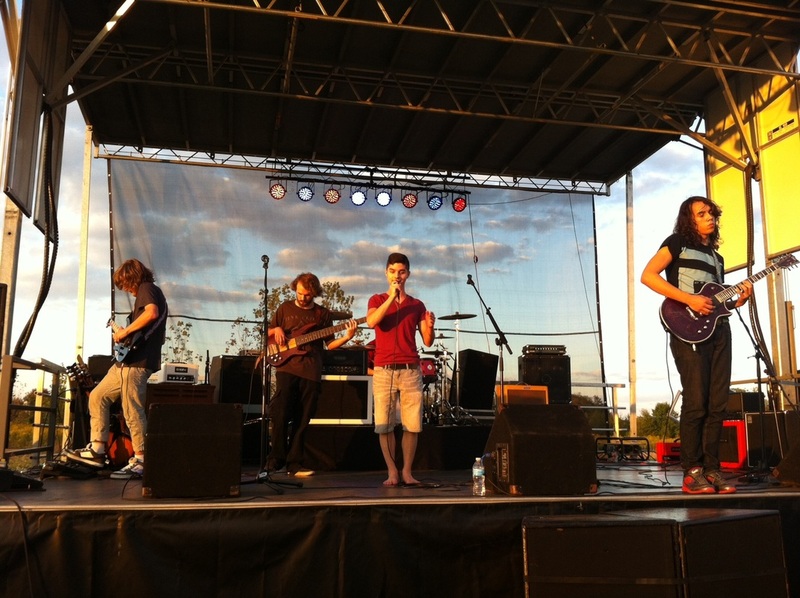 North of Nowhere members include vocalist Amber Gamon who celebrated her 15th birthday on the night of the concert, guitarist Jake Harmon, bassist Harold Sexton, and drummer Andrew Bensman. The band said they had a very short time to prepare, but they were excited for the opportunity. Besides the music, the alumni association also invited a number of local vendors to set up booths at the concert. A silent auction was also conducted. Items for sale included signed a John Mellencamp guitar, George Jones guitar, and a signed Ted Nugent guitar. Nicely said the alumni association will use its portion of the funds as scholarship money for music students within the high school, or for graduates hoping to pursue music degrees. At the time of writing, an accurate estimate of proceeds collected at the concert could not be given because credit cards and checks are still being tallied, according to Diana Nicely, Jeff’s sister and secretary of the alumni association. Jon E. Gee makes an effort to seek out schools in need and especially enjoys playing in the Northern Kentucky area, according to wife Sondra.